Oriental Rugs of the Silk Route: Culture, Process, and Selection. New York, NY Rizzoli International, 2000. Hardcover First Edition , so stated. First Edition , so stated (but see below). Very Near Fine in Fine DJ: Book shows only some faint scuffing at the top edge of the text block (this may have been a remainder mark which a previous owner - or more likely a book scout - has pretty effectively removed; hard to determine); else flawless; the binding is square and secure; the text is clean. 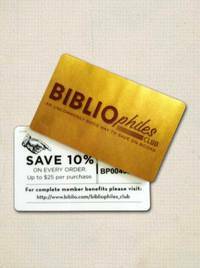 Free of ownership names, dates, addresses, notations, inscriptions, stamps, or labels. The DJ is flawless; unclipped. Very close to As New. May be a Remainder (see above); May be a Book-Club edition despite the First Edition statement (there is no price on the DJ flap or anywhere else); at least we can state with some assurance that this is NOT an Ex-Library copy. 4to. (11.3 x 9.45 x .9 inches). 176 pages. Profusely illustrated, mostly in stunning beautiful color, but there are also a number of vintage black & white photographs. Weight: 2 pounds, 9.9 ounces. Hardback with DJ. 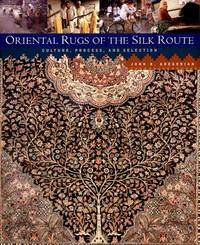 Title: Oriental Rugs of the Silk Route: Culture, Process, and Selection.